Enveloped, 70-55 nm in diameter. 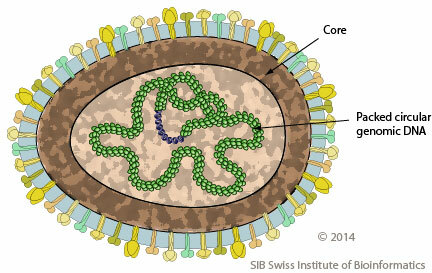 Consists of a coat, a core, a nucleocapsid, and fibers. Circular dsDNA of about 14 kb.